We take breaks away to do just that: break from the normal routine, scene and flavours of our everyday reality to take a breather and let our minds and bodies escape to a fresh reality. In other words - we escape. But at what cost, to the environment and ourselves, are we willing to take time out? 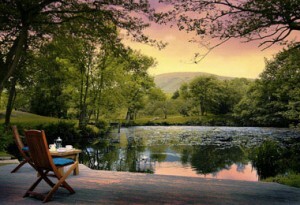 Your next holiday can be eco-friendly, good value for money and, fun and restful. And the planning doesn't have to be complicated either; you just need to know where to look for ideas. Enter: the Eco Escape. 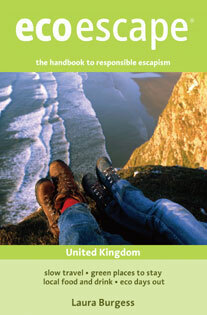 Responsible escapism is the moral of this book by eco-minded explorer Laura Burgess. Eco Escape is essentially a UK holiday guide for people who want to get off grid but do it using low carbon transport methods, eat slow food, and connect with places and people closer to home. Burgess believes that ‘the greenest travel options for ecoescaping are on our doorstep'. It's pretty easy to see the logic behind this but you'd be forgiven in this uber fast paced world for not knowing exactly what is sitting on you door mat. Eco Escape offers a comprehensive directory of green places to stay and explains how you can get to your destination the most eco friendly way possible. The businesses recommended in this book were not only chosen on the merits that they fulfilled criteria of green accreditation schemes and government initiatives but also on the innovative ways they involved guests in the travel experience. For example giving people an insight into the local community and where their food, energy and other supplies were sourced from. Covering the 50 of the best ecoescapes across the UK this book makes sure each region is covered including Scotland, The North of England, The Midlands, East Anglia, The South East and London, The South West and Wales. This is a book every UK holiday-maker should pop in their suitcase. If you'd like to buy a copy click here.